11am-4pm and dinner 4pm-Midnight. The trendy wine bar is also open late night and offers take out and delivery. 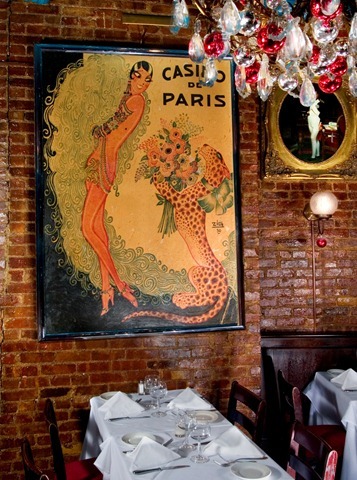 Lexington Avenue into Casimir & Co.
pulled together memories from their time in France, having both grown up in Lorraine, which contributed to the menu and décor. As diners walk into Casimir & Co they are welcomed by a (full service) wine bar and an open kitchen with a charcuterie counter. consumption by the restaurant’s standard measurements. An ancient practice on the streets of France, but something Casimir & Co is debuting in New York City- a smart and cost effective way to taste a variety of wines. The list is well chosen and affordably priced. 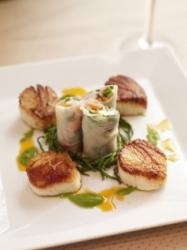 The kitchen aims for dishes rooted in simple, yet heart warming French bistro fare. 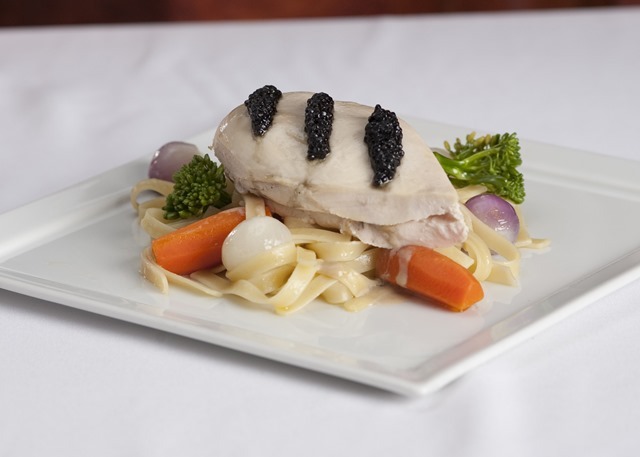 The approachable menu consists of classic French cuisine with all the trappings of an authentic bistro. Menu offerings, depicted on personal chalkboards, rotate daily for lunch and dinner, including chef inspired specials as well. 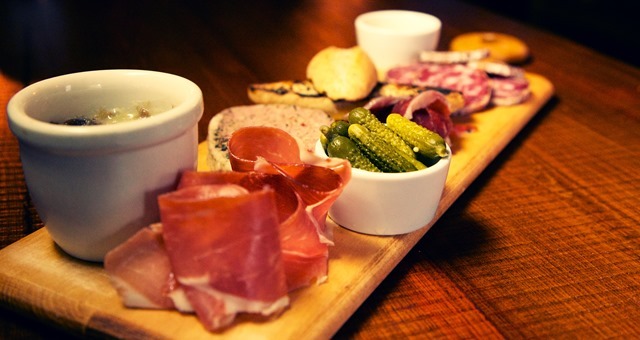 For lunch, diners can begin with a rustic Charcuterie Board ($16 for choice of 3, $6 per additional choice) with selections ranging from delicious Saucisson Sec to homemade duck rillettes and succulent pâtés. A steamed Whole Artichoke ($8) with a meaty heart is most enjoyable when dipped into the flavorful Dijon and lemon thyme vinaigrette, as well as a bountiful Crudité ($16) basket big enough for the table, blooming with market fresh vegetables and a light dill yogurt dipping sauce or classic French anchoïade. Lunch entrée options include a perfectly crusty Croque Monsieur or Madame, and a juicy Le French Burger served with frites. (All sandwiches are available with the option of gluten free bread). Briny and meaty Les Moules Marinières are a delectable option served in a classic and aromatic broth of shallots, garlic and white wine, served classically with pommes frites for lapping up the irresistible broth. While many of the lunch items carry over come nightfall, other options for dinner include the traditional French delicacy Escargots au Beurre d’Ail Persillé ($11), imported Burgundy snails swimming in a rich roasted garlic butter and lightly sprinkled with parsley, as well as a refreshing and delicate Pacific Salmon Carpaccio whose flavors are brightened with a drizzle of lemon, olive oil and fresh dill. 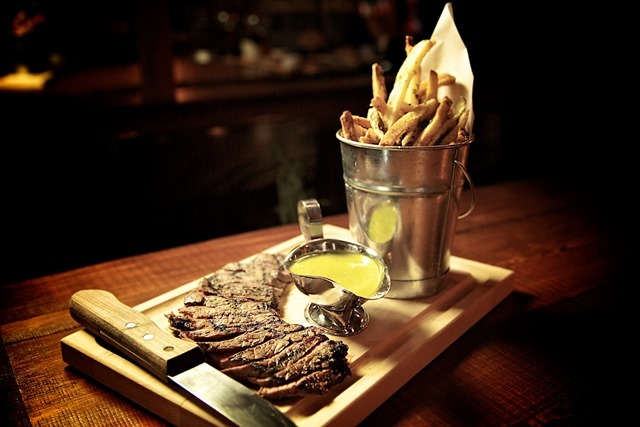 A signature house entrée will be L’Entrecote done the “Casimir & Co way.” A grass fed New York strip steak is grilled to your liking and served on a wooden board accompanied by their bold secret sauce and homemade frites. 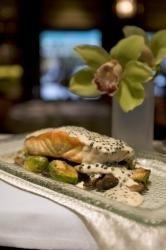 Other rotating dinner entrées range from a flavorful and moist Half Roasted Organic Chicken served with a side of buttery homemade mashed potatoes, to a moist Whole Branzino Roasted in Sea Salt Crust with haricots vert, reminiscent of outdoor dinners in the South of France. Diners will revel in Duck Leg Confit accompanied by crispy oven roasted potatoes and a refreshing frisée salad, and the restaurant’s guilt free indulgence is the uniquely prepared signature “fettuccine” dish made wholly from fresh Hearts of Palm served with a sauce choice of fresh tomato basil or creamy carbonara. Skipping dessert would be a crime. Sweet tooth charmers include plump Profiteroles, light as air choux pastry filled with whipped cream; delicious Îles Flottantes, or floating island of fluffy meringue and vanilla custard; a classic Crème Caramel, as well as a seasonal selection of ice Creams and Sorbets, and classic French Cheeses. For an instant trip to France, without having to leave the city, Casimir & Co is the perfect choice. A real charmer. Situated on a quaint corner, Brasserie Cognac East’s stunning two-story space is as inviting and charming, as it is elegant and sophisticated. The main level is divided by a central winding stair case that leads to the upstairs dining room, which can serve as a private dining room. fireplaces (one on each level) are added bonuses. 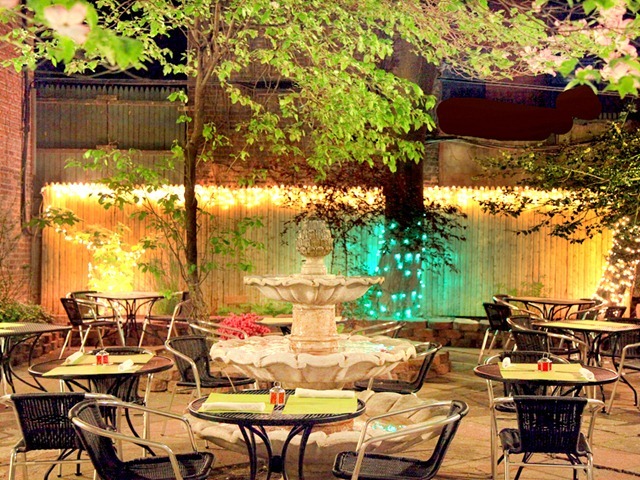 Brasserie Cognac East also provides a delightful outdoor café for fantastic alfresco dining, weather permitting. 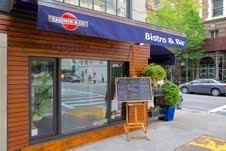 New York’s most rewarding restaurants have always been the small, charming finds and Cognac East avoids clichés, overly-trendy shockers and global-molecular fusion, instead presenting contemporary plays on classics at affordable prices with friendly service, looked over by the charming GM Bernard DuPont. There is also an outstanding wine list that extends to great cocktails and wines by the glass, such as the delicious VILLA BEL AIR, JM Cazes (FROM Lynch Bages).. 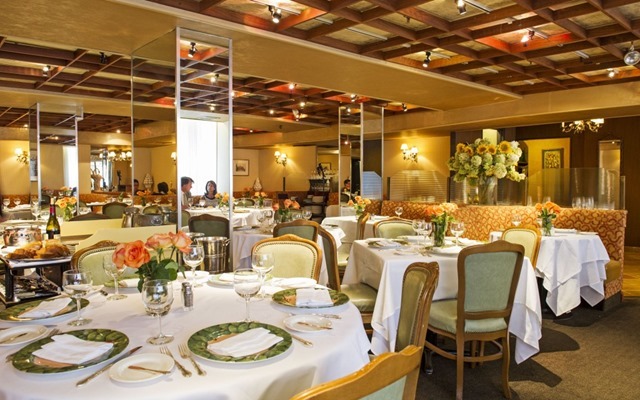 Here is an authentic French brasserie from Executive Chef/Partner Florian V. Hugo (Brasserie Cognac, Theater District NYC), an Alain Ducasse veteran and direct descendant of Victor Hugo; and Serafina Restaurant Group owners Vittorio Assaf and Fabio Granato. Chef Hugo listened to the loyal Upper East Side residing patrons of his five-year old Midtown West Brasserie Cognac (www.cognacrestaurant.com), by bringing a taste of France to their uptown neighborhood. 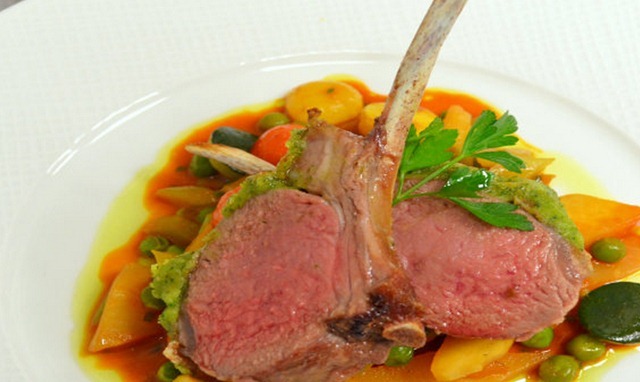 Hugo, a native of Provence, is known for his traditional French fare with a sophisticated,contemporary twist. 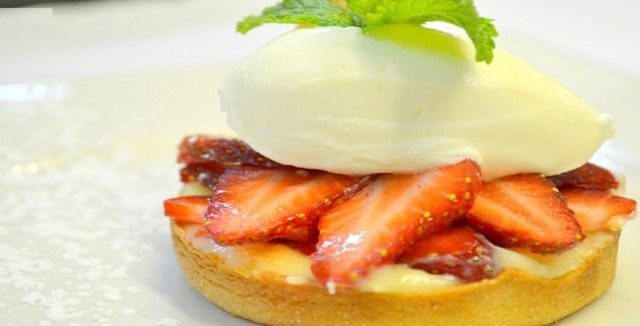 Hugo’s culinary versatility shows in his modern creations, such as Goat Cheese and Tomato Tart on a warm puff pastry, and an amazing Tuna Tart, a thin tart flambé crust with wasabi cream and pickled ginger. 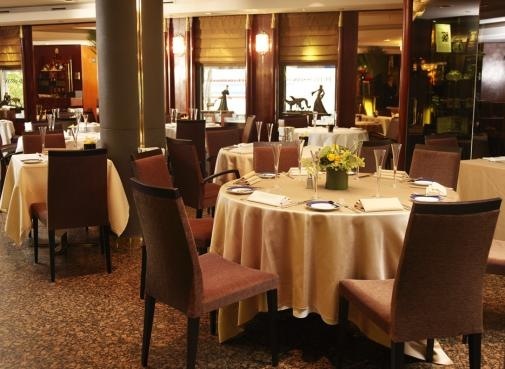 Honoring the timeless classics, Hugo offers the best renditions of Cheese Soufflé, Niçoise Salad, an aromatic Lobster Bisque, classic Blanquette de Veau and daily special like a homey pot au feu.Guests can enjoy his signature Filet au Poivre, flambéed tableside with – of course – Cognac, or a singular roast chicken preparation as well as the outstanding COTE DE BOEUF, PRIME RIB COOKED ON THE GRILL,WITH GRATIN DAUPHINOIS, CREAMED SPINACH AND TRUFFLE BEEF JUS (for 1 or 2Pers). 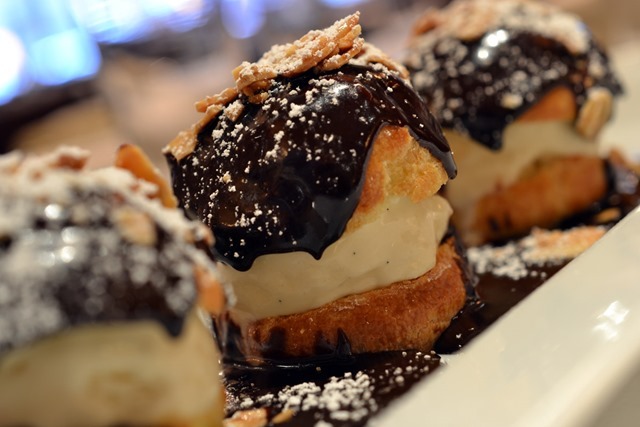 Desserts range from: wonderful housemade cookies, a light and delicate FLOATING ISLAND (POACHED MERINGUE WITH CARAMEL AND VANILLA CRÈME ANGLAISE) and lovely rendition of PROFITEROLES, to a formidable Chocolate Soufflé, to name but a few. At Brasserie Cognac East, guests can begin their day with house-made Mini-Croissants, Fresh Ricotta & Raspberry Pancakes, and Orange & Espresso French Toast. 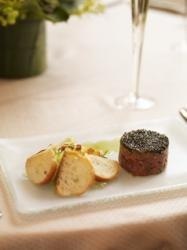 Hugo offers popular ‘Œufs’ selections, such as Eggs in Brioche and ethereal Egg White Vegetable Frittata. Unique to Brasserie Cognac East is “Le Goûter”- refined French afternoon snack including tea service (2:30pm-5pm), available every day with a fine selection of tea sandwiches, scones and house-made pastries, sure to please grown-ups as well as children. 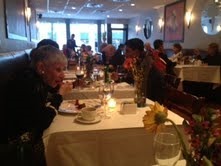 Absolutely one of the five best upscale bistros in New York, BCE is packed with happy customers, so reserve. For more information, go to Click Here for Website. or here to make RESERVATIONS Click Here. But by all means go. You’re going to like this one. 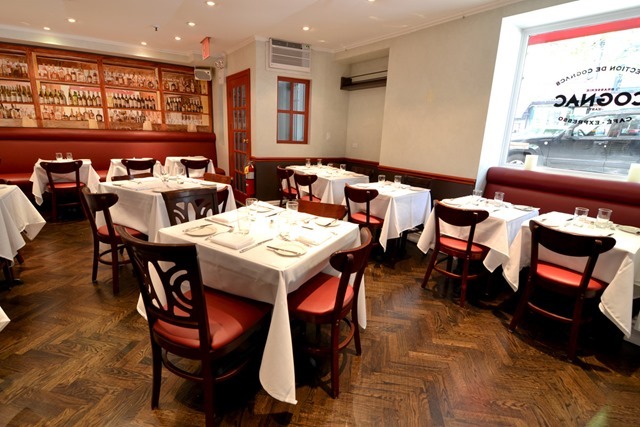 Manhattan’s most pleasant new restaurant find is this 45-seat restaurant, *Paname, named after a nickname for Paris. 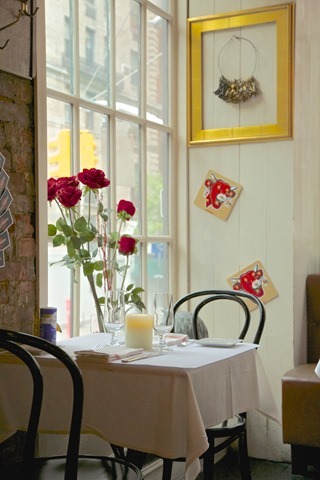 The executive chef/owner Bernard Ros—had closed the popular *Meli Melo following a fire in 2011. 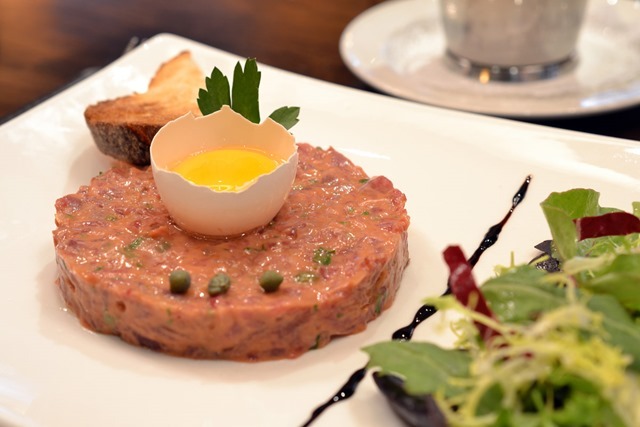 He makes his return to Midtown East with this casual and upscale French bistro. The kitchen turns out first rate Gallic classics such as plump escargots de Bourgogne, terrific mussels à la Marinière and a Provençal seafood bouillabaisse drizzled with garlic aioli that will make you think you are in France. The veal chop is deliciously tender and beautifully sauced and all seafood is fresh and as good as it gets. Good European wines are available by the glass as well as the bottle, and beer choices include standards like Stella Artois and Heineken. There are white-clothed banquet, topped with butcher paper and comfortable tables. 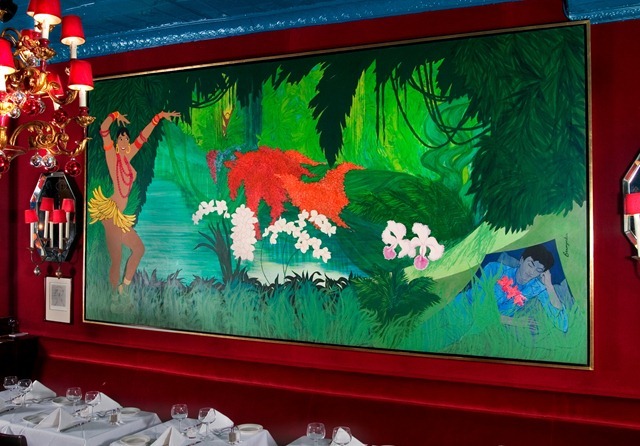 The walls are hang with Art Deco mirrors and large Erté-inspired paintings done by Parisian Beaux Arts students And oh what lovely vases of flowers..Don’t fail to sample the excellent desserts, such as crepes, doused with Grand Marnier liqueur. 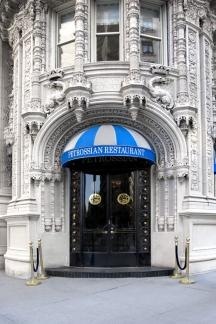 Paname would be a welcome addition to any neighborhood and If Mr. Ros can hold the prices. 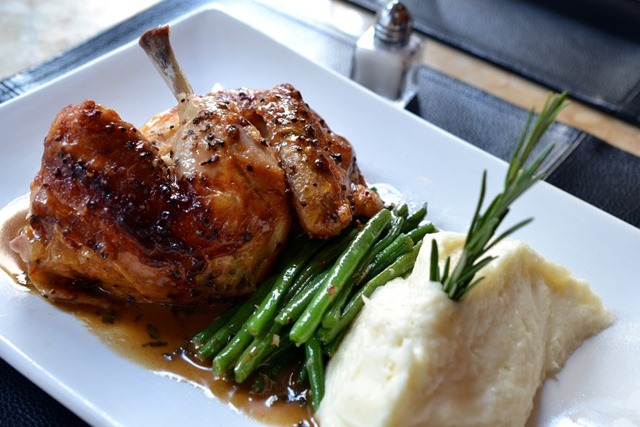 it may be the best value in upscale French cuisine on the east Side. Le Périgord , the unpretentiously pedigreed Sutton Place dining institution,may be over 45 years old, but a spiffy refurbishing and the always wonderful food keeps celebrities, U.N. delegates and loyal regulars returning year in and year out, to make this Grand Dame NY’s most satisfying luxury French restaurant. A recent dinner starting with a dozen sparkling East Coast oysters, followed by a fresh ramp Vichyssoise, then miraculous baby soft shell crabs in butter almond sauce and airy soufflés, not to forget the grand dessert carte, breads and superb wine selection, all at affordable prices, keeps Le Perigord the reigning star of NY luxury French restaurants. If there could be just one host in this town, George Briguet would be the king. Our personal favorite! 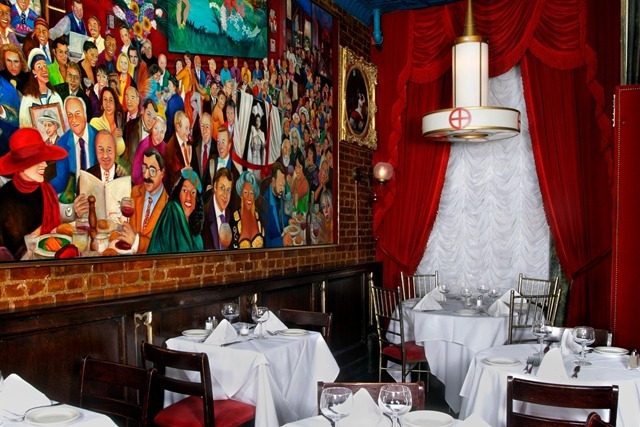 CHEZ JOSEPHINE and its ever-gracious host, Jean-Claude Baker offers live piano every evening starting at 6 p.m., and Saturdays are extra special with pianist Joseph Douglas, as well as Sarah McLawler (piano/vocals) performing with Jean Davis on trumpet starting at 8 p.m. It is outstanding, as is this ever delightful restaurant. 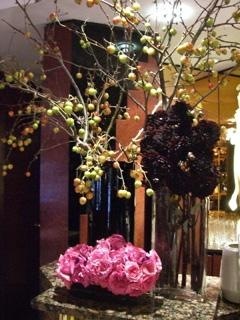 This charming Theater District jewel with is sidewalk café, convivial bar, and captivating main dining room, clad with red velvet walls, blue-tin ceiling and a cavalcade of chandeliers that light up the vintage portraits of icon Josephine Baker is better than ever, thanks to the culinary efforts of executive chef Frank Diaz and attentive service as executed by. the charming manager Fernando. A recent dinner began with such appetizer specialties as Chinese Ravioli with Fresh Goat Cheese and Roasted Pine Nuts, flavorful Country Pâté, zesty Maryland Crab Cake and Stone-Ground Mustard Sauce, Steak Tartare, Quail Egg, Potato Gaufrettes and Crispy tempura battered Blue Point Oyster and Braised Fennel in a tangy Mustard Beurre Blanc for starters. 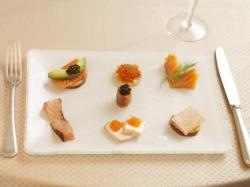 Entrees followed and not only copious, but beautifully executed. Favorites included Roasted Breast of Long Island Duck, Grilled Berkshire Pork Chop, delicious Pork Knuckles, with Champagne-Braised Sauerkraut a perfect Rack of Lamb with Potato Purée and Provençal Vegetables, a succulent Black Angus Filet Mignon au Poivre with crispy Pommes Frites and the surprise of the evening, absolutely the best Choucroute Royale, (Smoked Pork Loin, Veal Sausage, Frankfurter, Double-Smoked Bacon, Pork Knuckles, Boiled Potatoes and Champagne-Braised Sauerkraut) in New York City. You’ll love desserts like Black and White Chocolate Mousse, Lemon Tarte Brûlée, Apple Rhubarb Crêpe Cake, Le Délice Josephine: Chocolate Heaven and an exemplary Crème Brûlée. 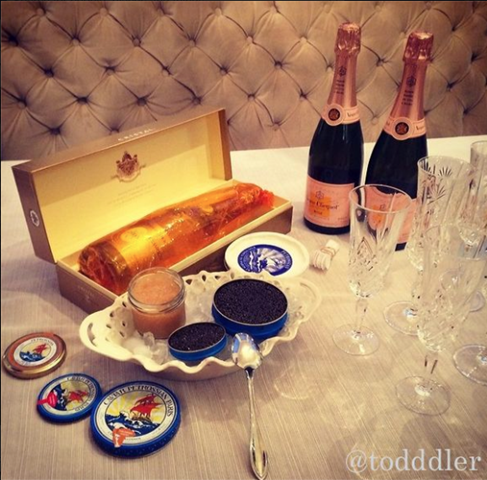 Wines and cocktails and general feeling of fun and glamour add to the experience at CHEZ JOSEPHINE. 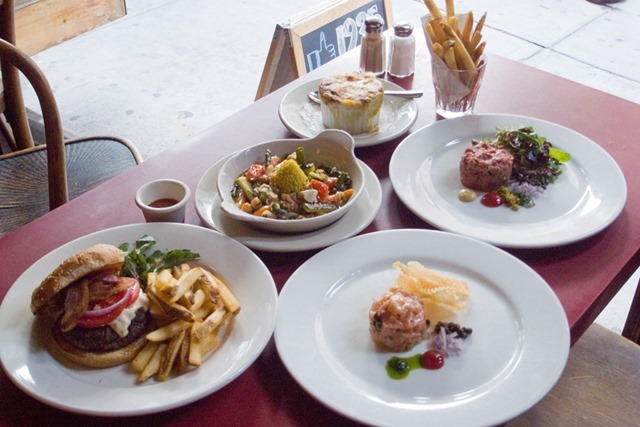 Not only one of the theater district’s best options, but one of Manhattan’s top five bistros. Walman Report Rating: A Major. HOURS: Lunch: 11:45 AM - 4:00 PM, Mon.-Fri.
Dinner: 4:00 PM - 10:30 PM, Sun.-Thurs. 4:00 PM - 11:00 PM, Fri.-Sat. Brunch: 11:00 AM - 3:30 PM, Sat.-Sun. 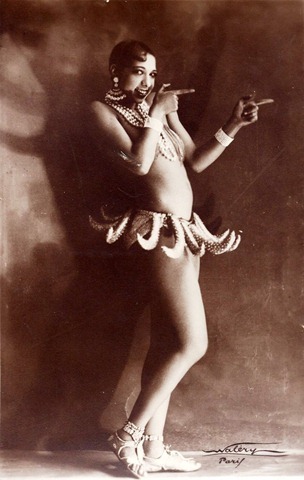 Happy Hour: 4:00 PM - 7:00 PM, Mon.-Fri.
Eureka! 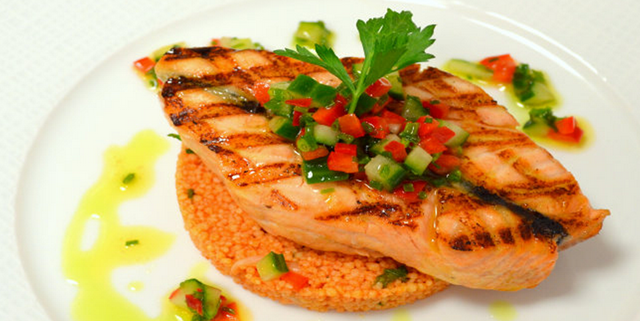 It is still possible to discover a terrific restaurant at an affordable price. 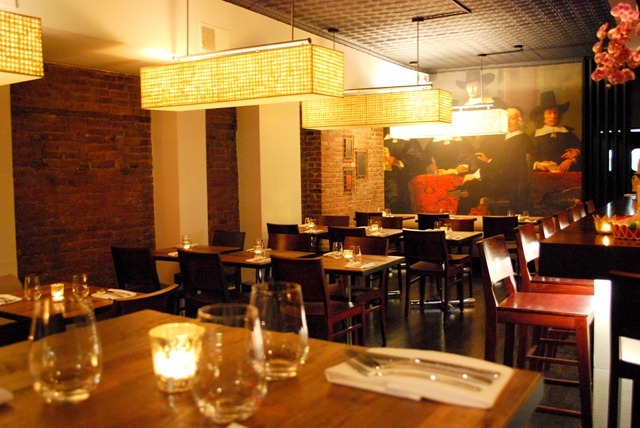 This delightful French spot, close to the Meatpacking District, is just such a discovery. 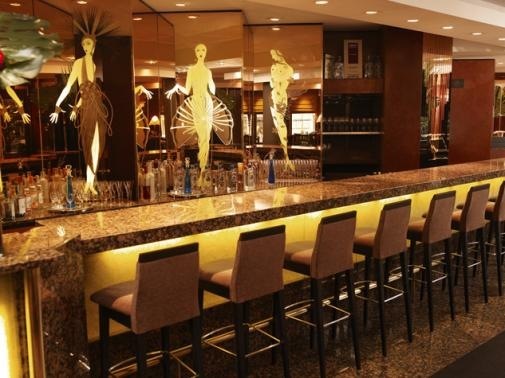 The handsome 16-foot long custom-made, L-shaped mahogany and porcelain tiled bar features an impressive selection of global wines with a particular emphasis on French wines. A variety of wines are available by the glass and carafe and there are lots of choices for well under $50 a bottle. In addition,The Lunch, Dinner, and Brunch Menus are available at the bar. 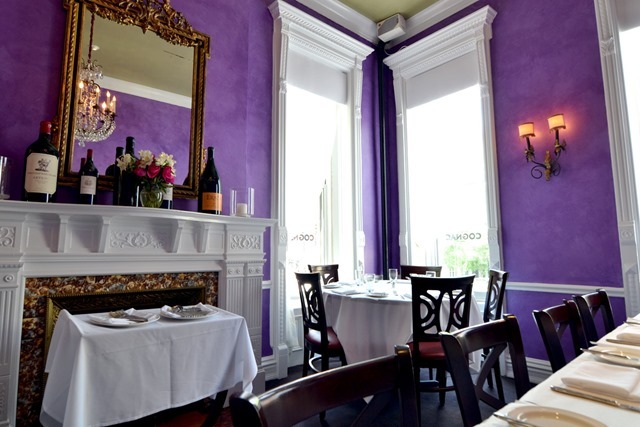 The dining room is enhanced by a 17-foot high original pressed tin ceiling, handsome mahogany chairs, custom-made imported French leather taupe banquettes, exposed brick walls ,an Indonesian antique wood armoire converted into a wine cabinet, and French windows overlooking a lively street. Best of all, a lovely seasonal landscaped garden seats 40 people. It features potted plants, red dogwood trees, wooden fence, wrought iron and faux rattan tables and chairs, lanterns, and an antique sculptured limestone fountain.It is open April through October. 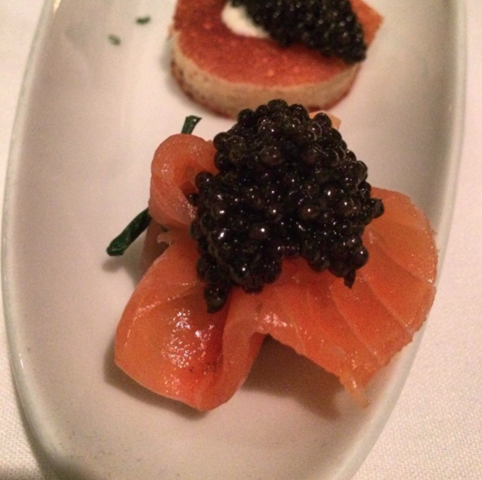 Prices are soothing: all dinner appetizers are $13 and entrees are $26 (with a few $2 or $3 surcharges) and there is a three course fixed price dinner for $40, Restaurateur/Chef Claude Godard is a serious, hands on, first-rate chef. The kitchen turns out classy and delicious offerings, worthy of a two star restaurant. Go easy on the lovely, warm dinner rolls and sweet butter. 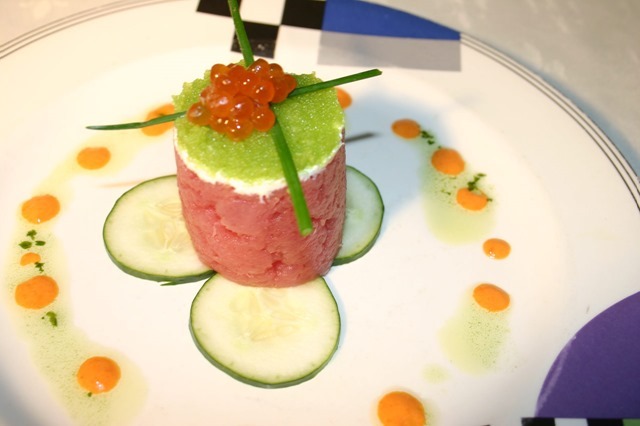 We loved such appetizers as a perfectly cooked Veal Sweetbread Tarte with Spinach Salad, an elegant Duck Foie-Gras & Petit Pols Parfait, with the fluff of foie gras resting atop a puree of sweet peas, and a delicious Tuna "Tartare" & Tomato Duo, with Cucumber Cream. Recommended entrees include succulent "Prince Edward" Island Mussels Mariniere, a moist Berkshire Pork Chop Charcutiere with Red Potatoes and baby sour pickles, and tender Grilled Leg Of Lamb,Eggplant And White Bean Salsa. Presentations are pretty but not overdone and service is attentive and personal. Don’t miss the beautiful desserts. 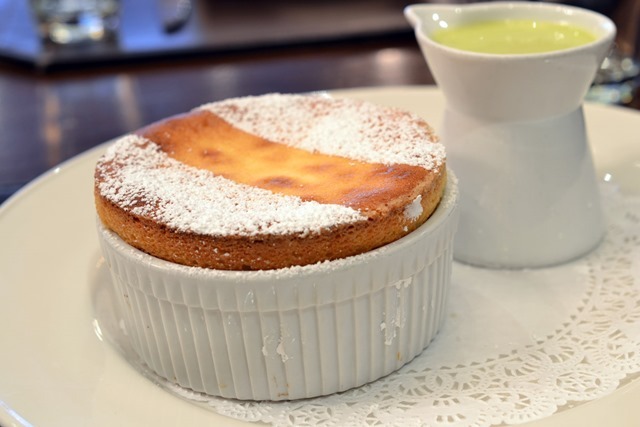 We would be hesitant to test a soufflé in most restaurants that are not of the luxury class, but a Souffle Grand Marnier ( also available in chocolate, praline or raspberry) was masterful and worth the 15 minute wait (and $3 supplement). Housemade French Donuts (a special) were also excellent. 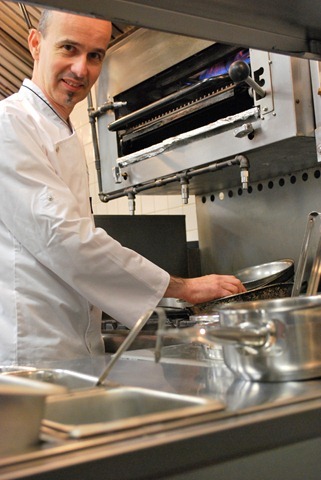 Owner and Maître Cuisinier de France (France Master Chef), Claude Godard, third generation of chefs, is continuing and keeping a generation’s long tradition of Bourguignon style of cooking. 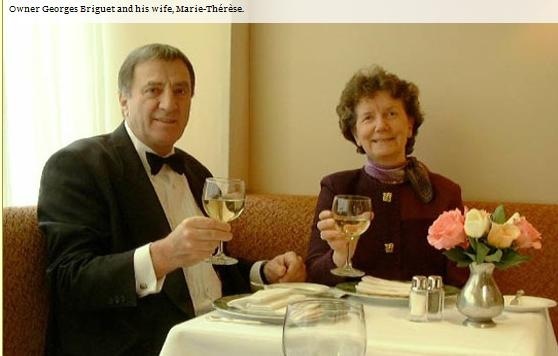 The restaurant is named after his grandparents, Jeanne, his grandmother and Gaston, his grandfather.